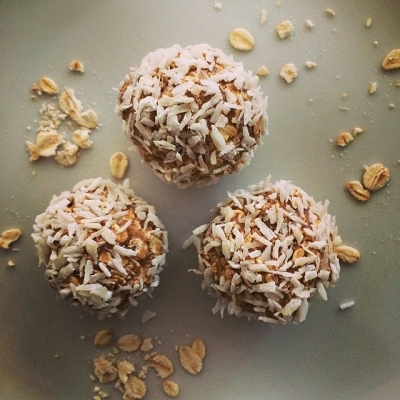 In a bowl mix together all of the ingredients and roll in your palms of your hands to make 8 equal sized balls. Put onto a lined tray and place in the fridge for 24 hours to firm up. Keep refridgerated.